Whether you love riding a bike or driving a car, you would always like to be safe and secure. However, it is true that everyone wants to enjoy safe driving, but despite of this fact, there are millions of road accidents happen in India every year. Do you know the reasons behind these road accidents? Of course there could be various reasons – from ignoring traffic rules to drunk driving. So, if you want to keep enjoying safe driving, you must avoid a few things while driving. Let’s check out stated below top ten reasons for road accidents in India. One of the key reasons behind most of the road accidents in India is the speeding and tailgating. Yes, there are various drivers who simply want to enjoy speed riding or driving. It is a fact that balancing a speedy vehicle could be a tough task to accomplish when an emergency occurs. Do You Use Phone While Driving? If your answer is yes, then you should get rid of this bad habit. You should stop calling, texting and chatting while driving. If you are highly drunk, you aren’t supposed to use your senses especially vision properly. Thus, you could be a threat to other people. It is seen that most of the road accidents occur due to drunk driving. If yes, then you are putting your life at risk while riding a bike. It is seen that due to head injuries, most of the individuals have to cope with death. If you want to secure your life, wearing a helmet can be very useful. Why Are You Not Wearing a Seat Belt? Like wearing a helmet, wearing a seat belt is also needed when driving a car. You can easily skip major injuries if you use seat belt while driving. Do You Break Traffic Rules? Breaking traffic rules isn’t only an offence, but also it may put your life at threat. It is seen that due to breaking a simple traffic rule like ignoring red light may cause a road accident. It is often seen that many people simply try to drive or ride a faulty vehicle. They assume that due to their exceptional driving skill, they can enjoy safe riding or driving, but it is completely baseless. Driving a vehicle with a fault such as brake issue can lead you towards a road accident. If you are assuming that driving in fog is a kind of daring job, you need to get rid of this assumption. You should accept the fact that putting your life at risk is always a stupid act. 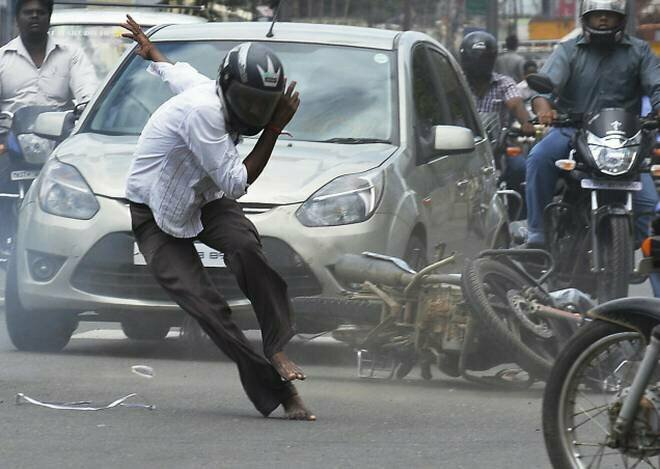 It is a growing tendency among youth in India that they want to enjoy stunt especially while driving vehicles on road. If you are also among those young people, you need to stop practicing it on public roads. Yes, it is another reason behind most of the road accidents in India. Poor road infrastructure in India is certainly a leading reason behind most of the road accidents.